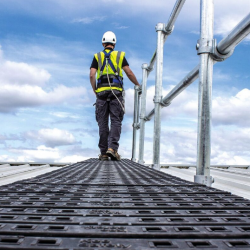 Easi-Dec, the working at height specialist, has modified its Board-Walk mesh walkway solution to allow for both vertical and horizontal installation. 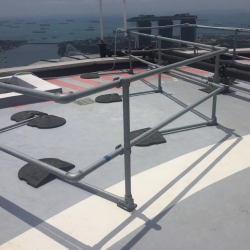 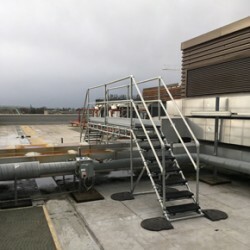 The KeeGuard® system, from Kee Safety, is a free-standing roof edge protection system that can keep workers safe, without endangering the roof membrane itself. 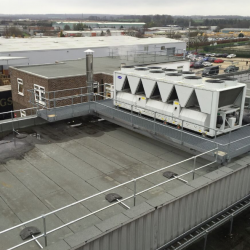 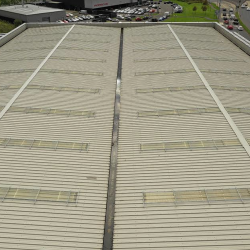 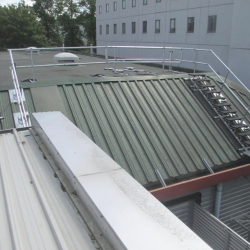 A combination of Kee Systems’ safety products have been installed at the Twinings facility in Andover, to offer a top quality edge protection solution for staff members on the rooftop. 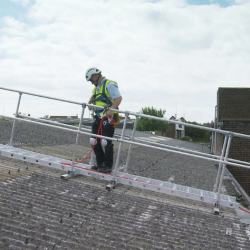 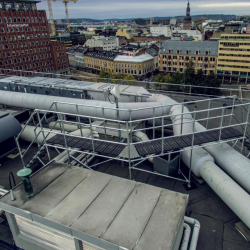 Kee Safety has announced the release of modular, off-the-shelf step-overs, designed to offer a safe means of access where obstructions exist on a roof.